Nuclear Strike Drills Faded Away In The 1980s. It May Be Time To Dust Them Off Nuclear civil defense fell out of favor in the latter years of the Cold War. But, as North Korea builds its nuclear arsenal, local officials are reluctant to bring it back. But Hawaii remains an exception. 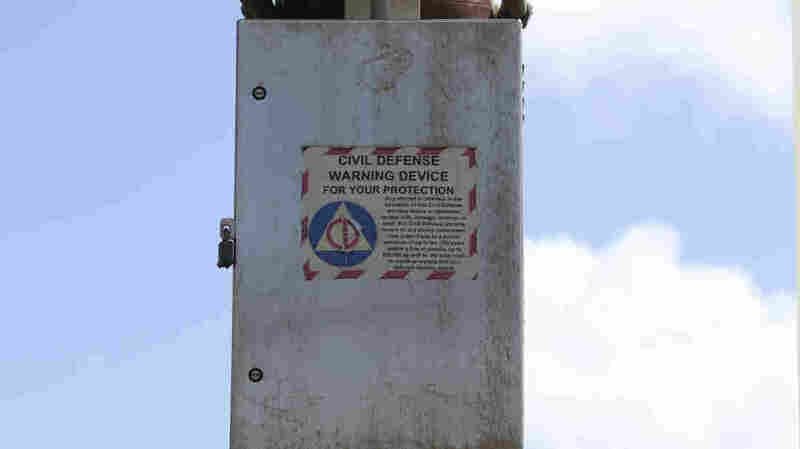 In most of the country, air raid sirens are long gone. In Seattle, the mainland big city closest to North Korea, emergency management officials say they would use the Emergency Broadcast System to send out alerts by TV and radio, as well as alerts to smart phones. The question, though, is how prepared the public would be to respond to such an alert? "We're beyond the generation now of remembering what Hiroshima and Nagasaki looked like," says Seattle emergency management director Barb Graff. "We need to keep in mind that it's more than just warning people and saying 'run!'" During the Cold War, the federal Civil Defense Administration produced films with specific advice on how to survive nuclear attack. Although they're often mocked today, the films did contain useful information that could save lives. "The concept of 'duck and cover' really came from the idea that you had the ability to protect yourself from those prompt effects," says Brooke Buddemeier, a certified health physicist at Lawrence Livermore National Laboratory, who's studied potential risks of nuclear attack. He says the Civil Defense recommendations weren't as futile as people think, especially in the early days of the Cold War, when nuclear weapons were less powerful and the Soviets had a smaller arsenal. And the advice may still save lives now, in the event of nuclear terrorism or a limited attack by North Korea. "For a smaller, sort of low-yield nuclear detonation, in a modern urban city, even near the detonation there's a very good chance of survival if you can get inside, stay inside and stay tuned," Buddemeier says. 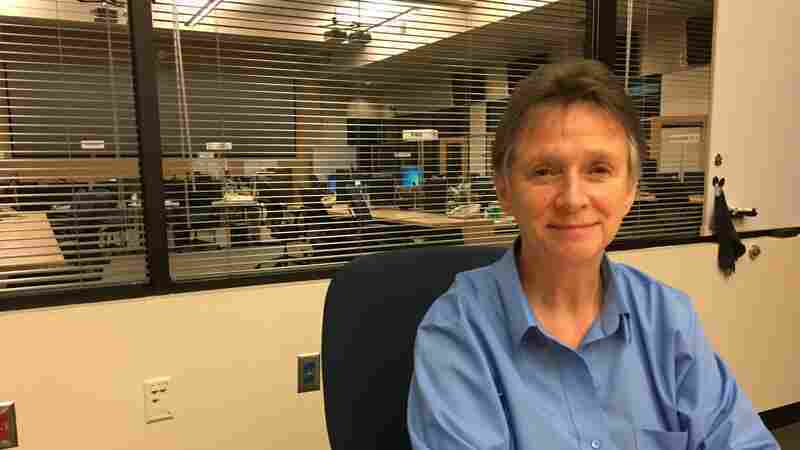 Barb Graff, director of Seattle's Emergency Management Center, says telling people to run is not a plan. That kind of survival advice is still available today, but people have to seek it out on websites such as Homeland Security's Ready.gov. Government officials, federal and local, have become leery of high-visibility public awareness campaigns about surviving nuclear attack. In Washington state, there's even a law passed in 1984 that forbids preparations for nuclear attack. Local emergency officials say the law doesn't hamper them in practice, but the lingering symbolism is clear, says nuclear weapons historian Alex Wellerstein, at the Stevens Institute of Technology in New Jersey. "Civil defense got very politically controversial in the 1980s," Wellerstein says. "And a lot of people, especially on the left, essentially argued that civil defense was a waste of money at best, because it wasn't going to be effective, and at worst it was an insidious plan to make people complacent." Wellerstein is now part of a Carnegie Corporation-funded project called Reinventing Civil Defense, which seeks to rethink an effective version of nuclear preparedness for the 21st century. He says the Cold War efforts included some worthwhile elements, but officials made a big mistake in not being honest about how bad an attack could be. Living In The Atomic Age: Remember These Images? "They really didn't want to have to say, 'There really isn't a lot of work we can do for you people, because if the Soviet Union launches 30 nuclear weapons at New York City, you guys aren't going to make it.' And not being able to 'fess up to that fact I think discredited a lot of their work." So today, most local plans for nuclear attack are low-profile, if they exist at all. Ventura County, Calif., which in 2014 created a specific plan for nuclear attack, is one of the exceptions to the rule. Instead, emergency managers take what's called the "All Hazards" approach — they say they can apply to a nuclear attack the same skills they'd use for other crises, such as earthquakes. But Washington state senator Mark Miloscia — who is a former Air Force bomber pilot — would like to see more specific planning for nuclear attack. For him, the first step would be to change the 1984 state law barring nuclear emergency preparations, which he finds too fatalistic. "Nuclear war is survivable. It may be horrific, and it may be painful, and it may be destruction all around, but it is survivable if you're smart about it," he says. "To say 'give up hope and just die,' I don't think that's the best of any sort of American spirit."